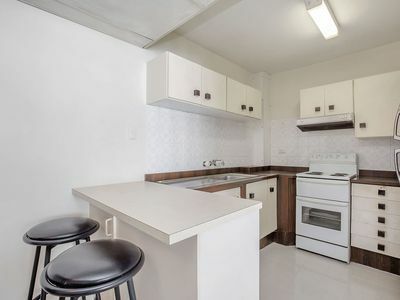 Entry level buying!! 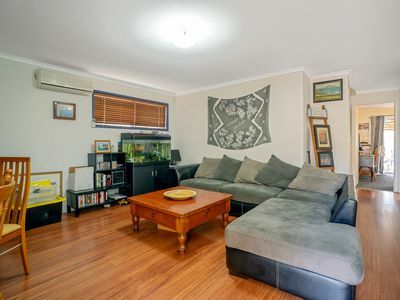 Exceptional value! 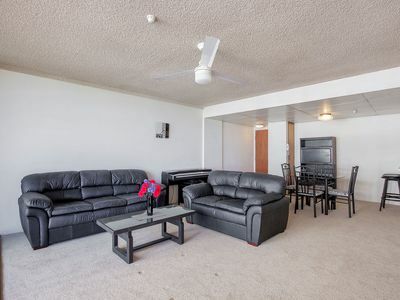 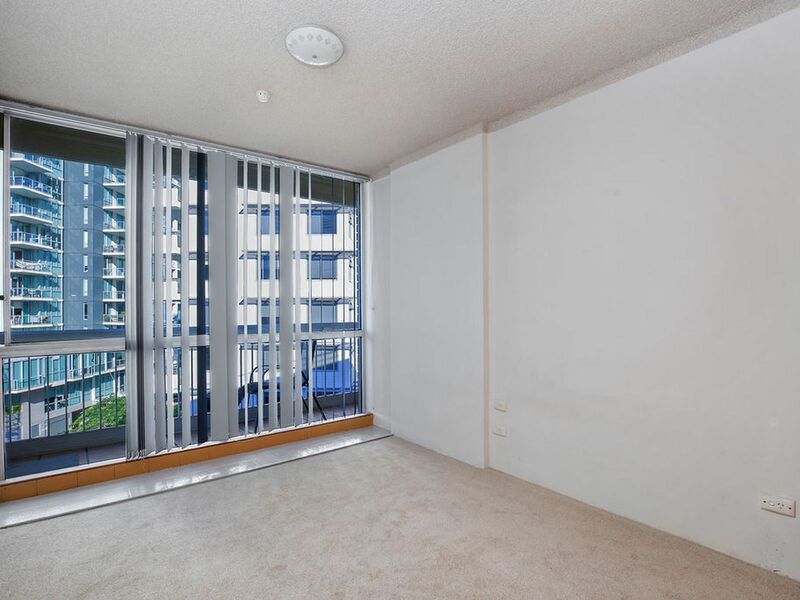 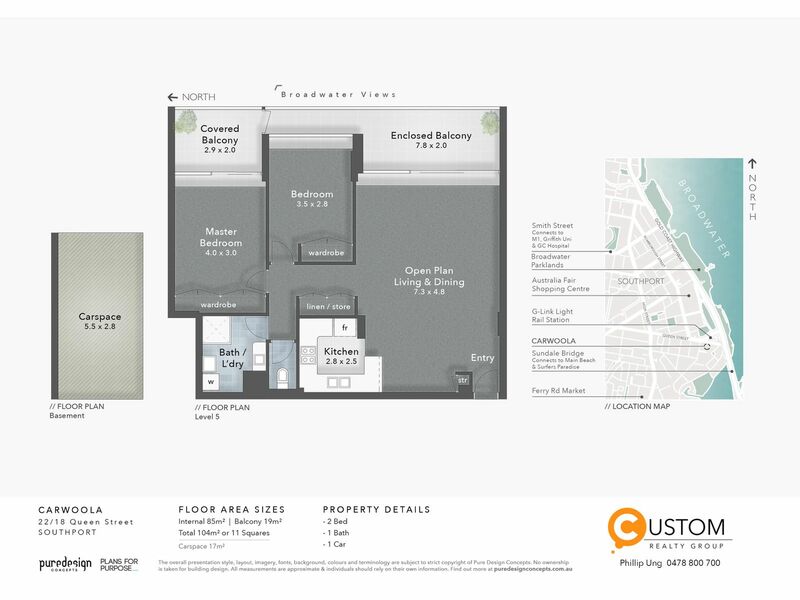 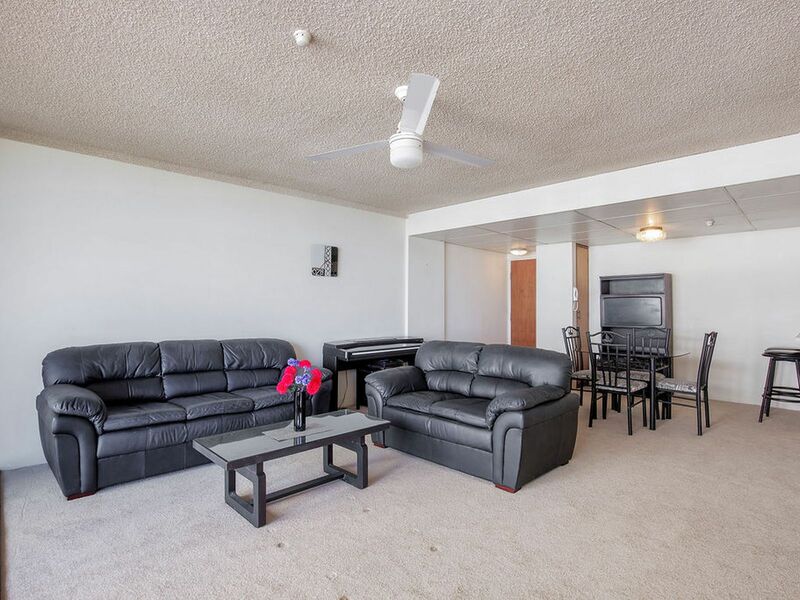 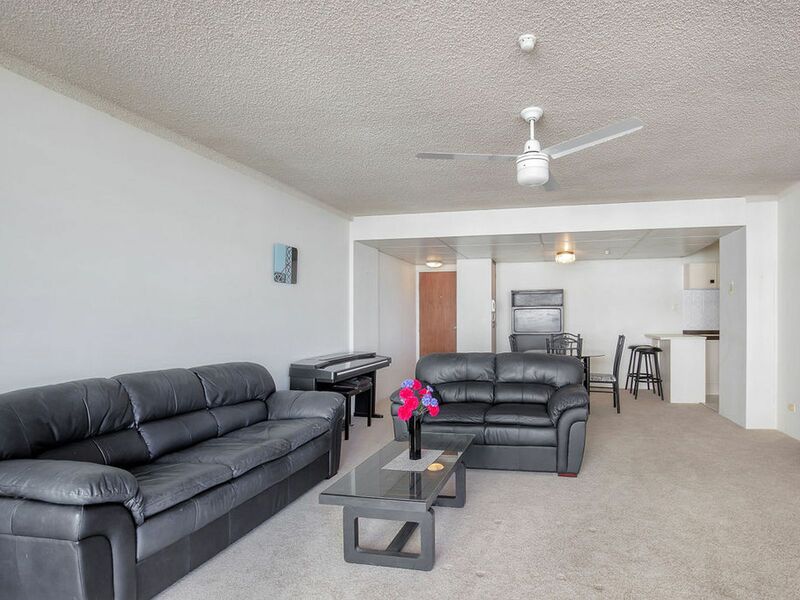 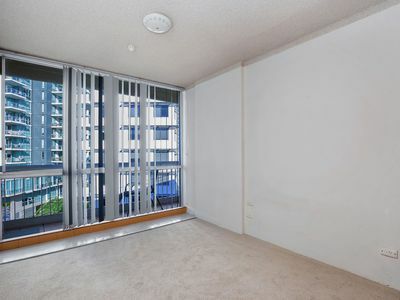 104m2, two bedroom unit in the CBD near the tram station! 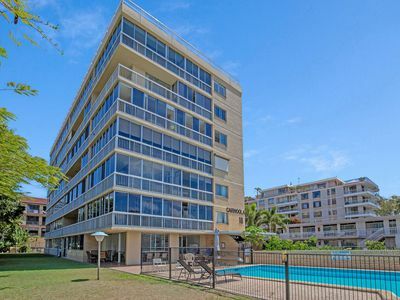 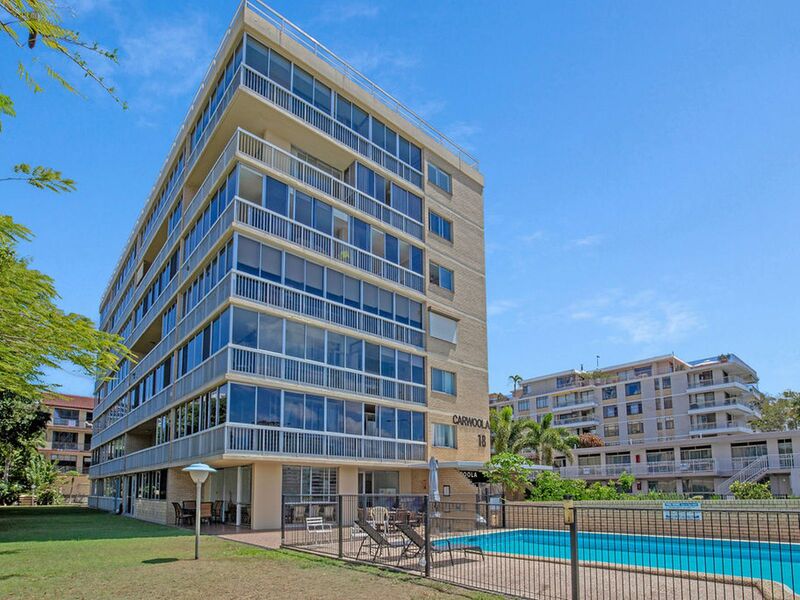 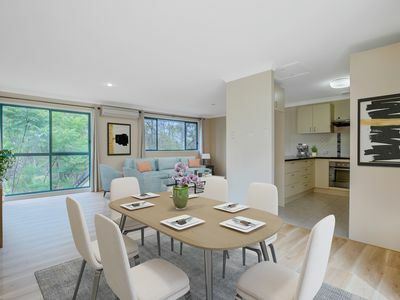 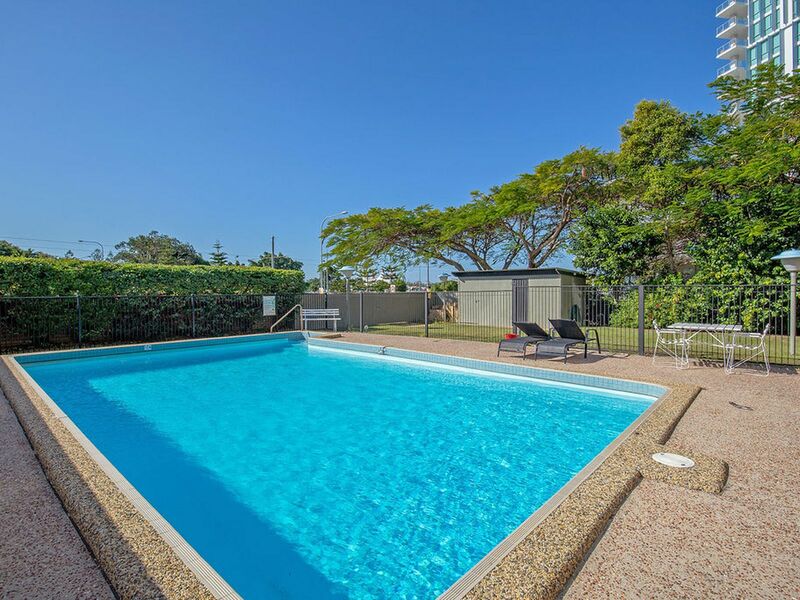 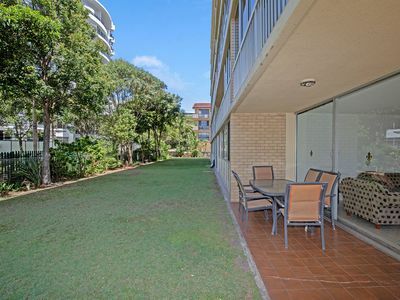 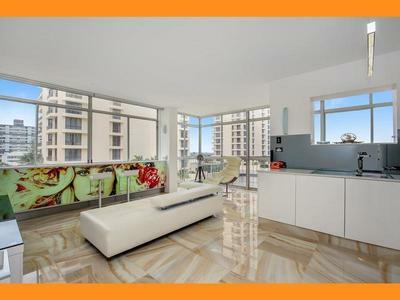 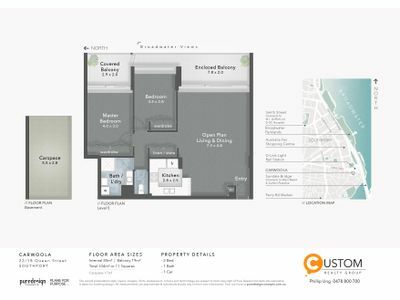 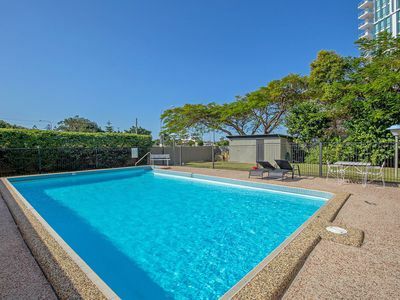 This sensational property is located in the Gold Coast City’s CBD where property prices seem to be rising year on year. 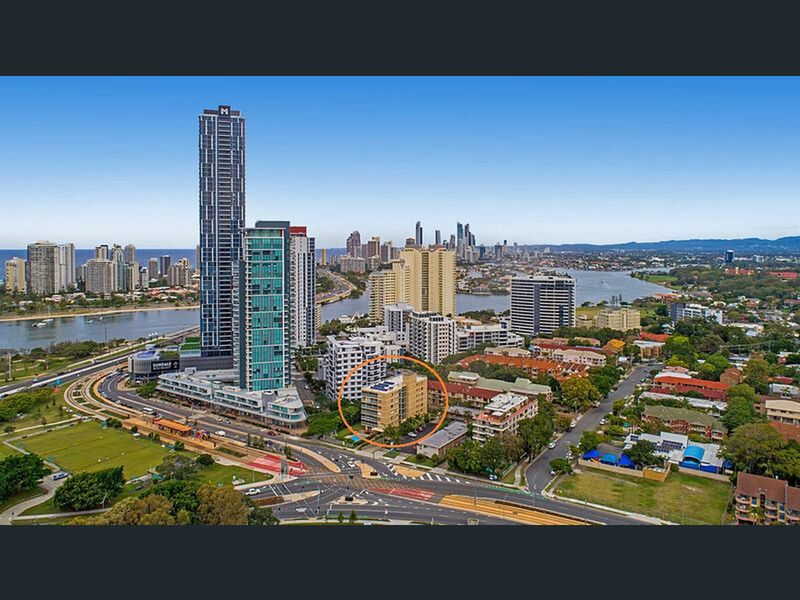 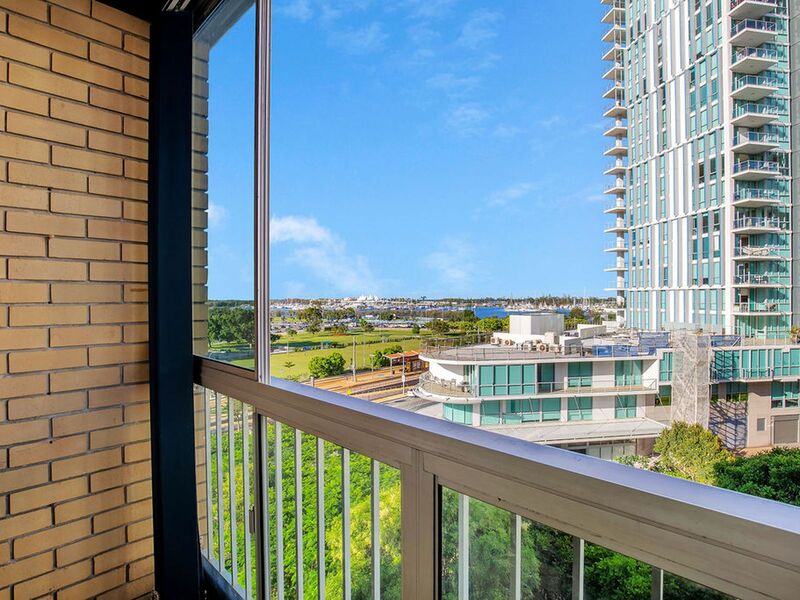 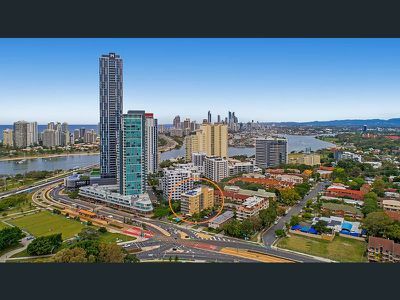 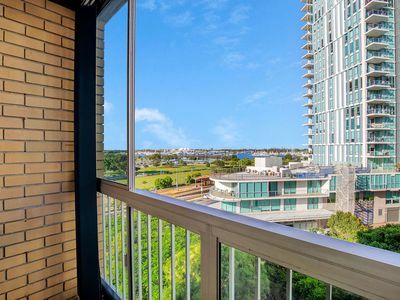 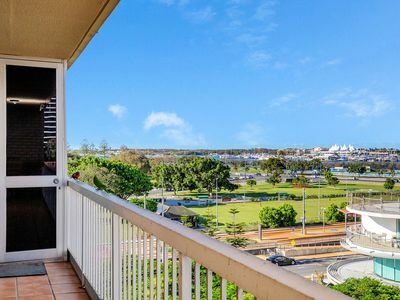 Positioned on the eastern side of the building and perched high one from the top floor, it’s arguably the best position in the building capturing soothing cool breezes to go with tremendous never to be built-out captivating views of the Broadwater, Marina, Parklands and Ocean. 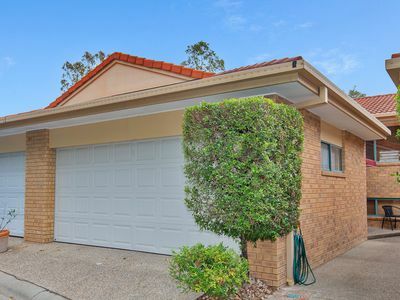 ‘Carwoola’ is a sturdy built brick constructed building from the late 80’s where my vendor had called home for the past 20 years. Original yet immaculate in its current condition, the property should receive an immediate boost in value and appeal should it receive a rejuvenated refurbishment. 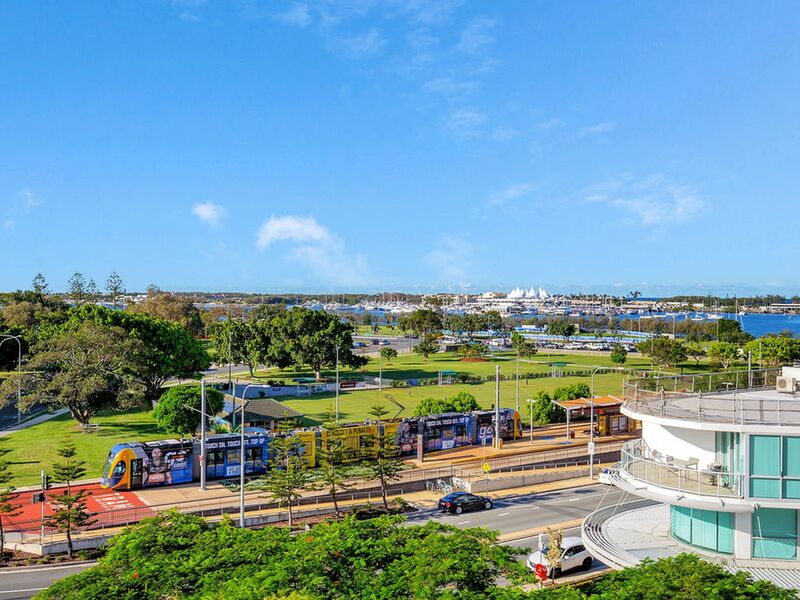 Having the tramline and bus-stops literally across the road is extremely convenient. 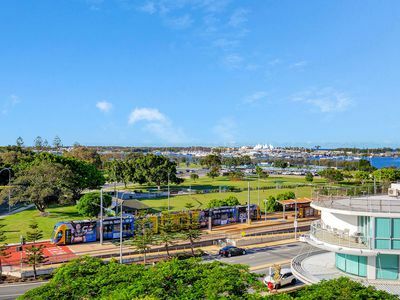 There are an array of local shops, café’s and restaurants within a 2 minute walk from the property such as Woolworths Metro, SENS café, Bar II, Sundale Medical Centre, Chempro Chemist, Jasmine Room Chinese, MyTHAi, Sumi Japanese Restaurant, the bottle shop and more! 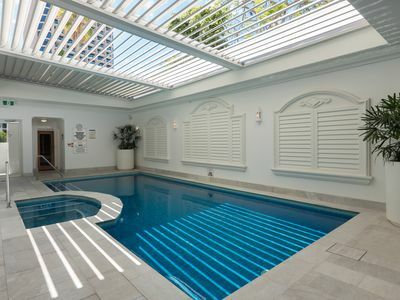 Be sure to inspect and add this magnificent property to your portfolio or a new place to call home. 3 / 154 MUSGRAVE AVENUE, SouthportFor Sale: CONTRACT COLLAPSED - OFFERS ABOVE $335,000!! !